Therapoid’s manuscript development partner, Overleaf, provides tools and templates to present your research results in a professional manuscript, ready for publication or preprint. Collaborate with fellow Project members in your Project Workspace, by uploading and sharing project goals, resources, methodologies, data, observations, etc. 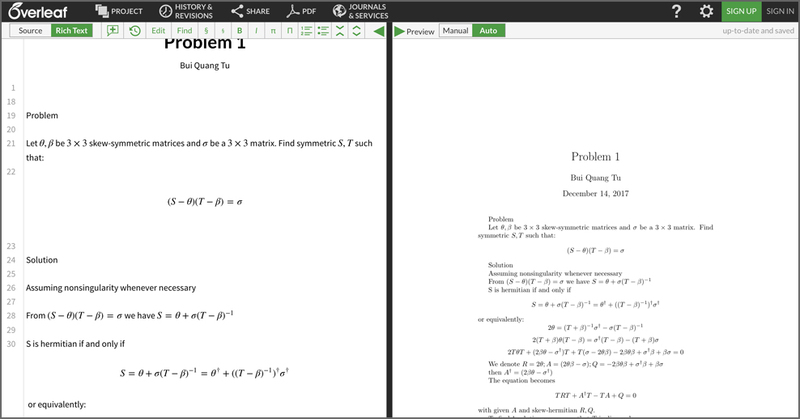 Join Overleaf to access LaTeX and Rich Text collaborative writing tools which enable complex math expressions and other features specific to scientific documents. 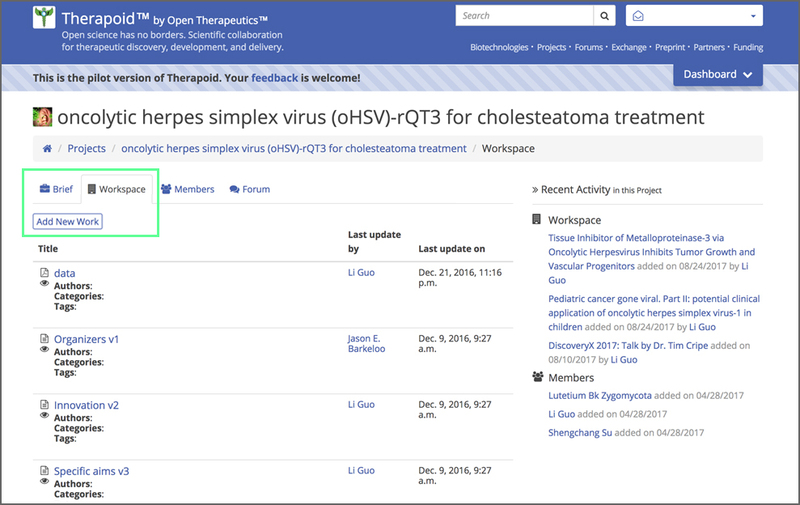 Overleaf documents can be uploaded to your Project Workspace as reference for ongoing research, or uploaded to Therapoid’s Preprint Service for review by Therapoid’s scientific community. Overleaf is an academic authorship tool for collaboration and manuscript submission, all underpinned by cloud-technology. With an intuitive online collaborative writing and publishing platform with over 2,000 authoring templates, Overleaf makes the process of writing, editing and publishing scientific documents quicker and easier.